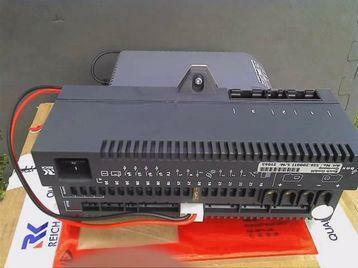 Reich Burstner E-Box remanufactured Charger only unit for sale at £190. We are A & N Mobile Caravan and Motorhome Services who repair battery charging units and also carry a stock of both New and remanufactured items, with a 12 month guarantee. We have a New Reich E-Box Plus available at £590. This is the latest revision to the E-Box and E-Box 1 with a separate charger unit that is more robust, easier/cheaper to maintain/repair and because it's separate it won't overheat the main control board. The remanufactured Burstner Reich E-box retails at £350. Reich E-box repairs typically cost £190. We perform Motorhome/Caravan servicing and repairs for any make at your home, storage location or holiday site. We are able to repair battery charger faults in your Motorhome/Caravan, not just on the workbench. New or remanufactured units bought from us are fitted free within 20 miles of Conwy. We also buy all none working charger units.